Each session is customized to your personal needs. Reiki is a holistic therapy which brings about healing on physical, mental, emotional and spiritual levels. The belief is that the energy will flow through the practitioner's hands whenever the hands are placed on, or held near a potential recipient. Learn more. 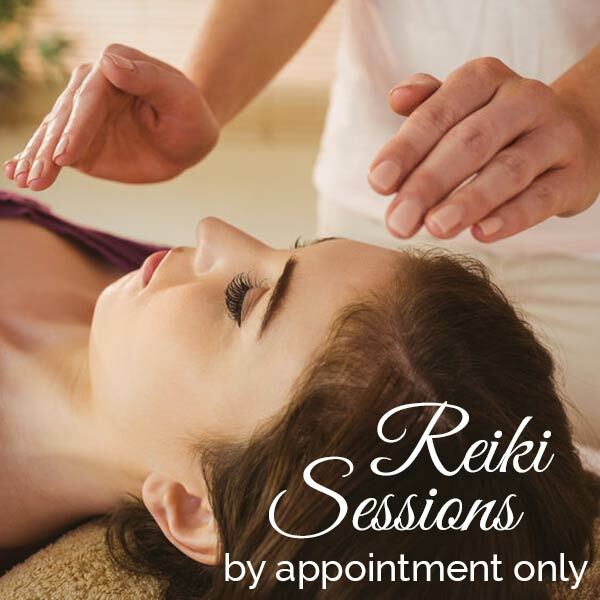 Reiki Sessions are available by appointment only. Session times: 30 minute minimum. Dress comfortably. You may also be asked to remove or loosen your belt so that your breathing is not restricted in any way. It is best to choose loose-fitting garments to wear. Wearing natural fabrics is best (cotton, wool, or linen). You may also be asked to remove any jewelry (rings, bracelets, pendants, etc.) for your session. For most, you would be laying on a massage table. If you have issues laying flat, sessions can also be done while seated in a chair.